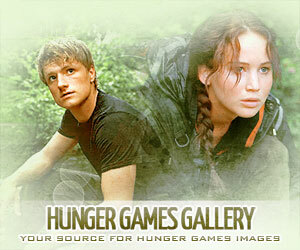 It’s here, tributes! 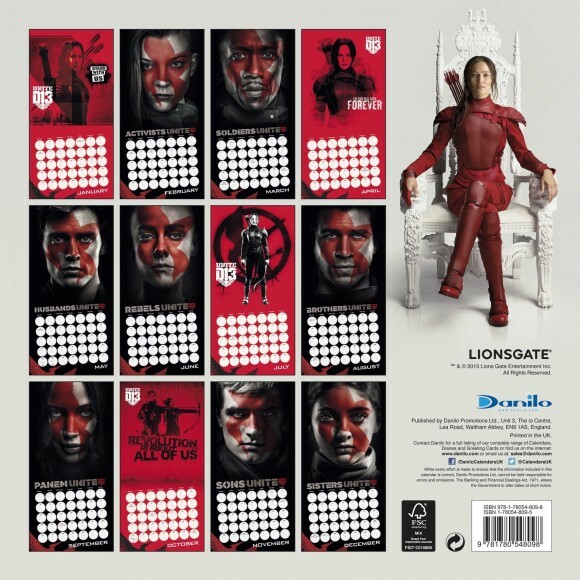 Our first official piece of The Hunger Games: Mockingjay Part 2 merchandise: a 2016 Mockingjay Part 2 calendar! Interestingly enough, the calendar has a new production company this year, Danilo Promotions Limited (previous calendars have been published by NECA). 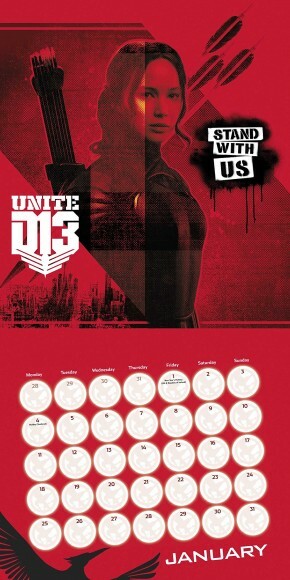 Each month features either one of the red face paint posters or a new piece of artwork with Katniss. 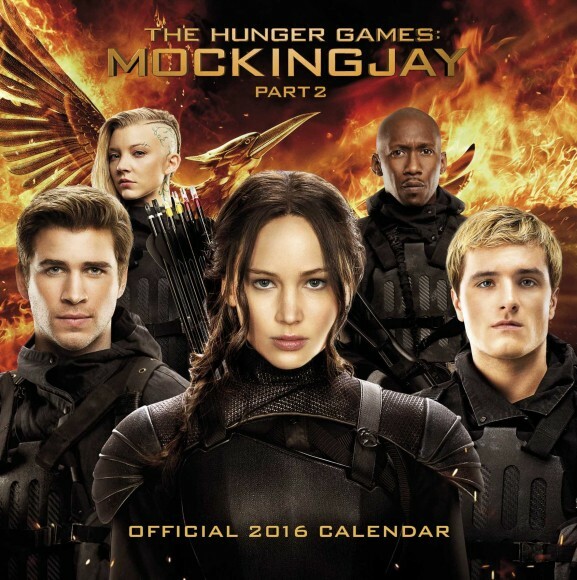 The calendar is a 12-month calendar going from January to December 2016. 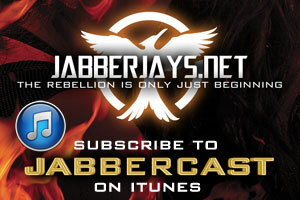 Will you be pre-ordering the calendar? It will be released on October 1, 2015.